Living in a big house becomes the desire of many people but when the financial condition does not allow people to live in a big house, living in a small house certainly becomes the right choice. If you have a small family, living in a small house probably will not bring problems but if you have a big family, it will create many problems. In such situation, the best thing that you can do is to decorate your small house as good as possible so that your small house can look spacious. The following are four tips to decorate a small house. The principal light color combination is the brighter the color, the more spacious the look. For this home decoration tip, you should be smart in combining light colors because wrong combination will not bring benefits to your small house. In many cases, the combination of icy blues and cream colors is chosen since it makes rooms become brighter. To maximize your attempt to combine light colors, you should consider painting your walls, moldings, and ceiling. The first thing that you should do is to give your house natural lighting as much as possible because a natural lighting that comes in from our window will make your house look much more spacious. If bringing in much natural lighting is not possible, you can try to install certain lighting effects. For this purpose, you can hire a home decoration expert that can be found easily on internet and on your local area. You can get expert advice on lighting effects so that you can achieve your desired condition. These days, there are many furniture manufacturers that create multipurpose furniture. For example, a coffee table that has shelves so you can put some books there. 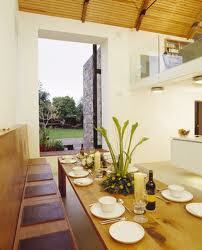 The use of multipurpose furniture surely helps saving places as you don’t need too much furniture. Since your house is not equipped with too much furniture, your house will look spacious. This home decorationg tip actually will not only make your house look more spacious but also make your house become healthy yet comfortable. If you arrange all furniture and stuffs tidily, your house certainly looks neat whereas a neat house opens more spaces. 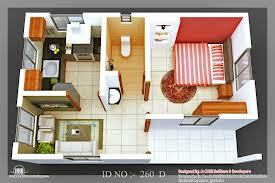 Meaning to say, keeping your house tidy enables you to have a spacious small home.